When we first joined the Camino Portugese the yellow arrows pointing toward Santiago blazed off every wall and a stream of pilgrims followed them north. We followed half faded blue and green arrows, only sometimes there, pointing the way south. We saw only one other person walking against the current, a French woman named Michelina, older with a beautifully kind face, a true believer on her way to Fatima. People say the different Caminos de Santiago look like the rays on the back of a shell, routes from across Europe leading to the Saint’s the tomb at the shell’s point in Santiago. To me they look like rivers draining into one another, each pilgrim a drop as the streams weave together into a mighty flood of pilgrims that pour through the cathedral’s doors. But Fatima has believers too. A hundred years ago, as the world watched a generation die in World War I, three children saw the Virgin Mary. A field became a shrine, a village became a city, a new pilgrimage was born, a new watershed, smaller than Santiago’s, but growing. 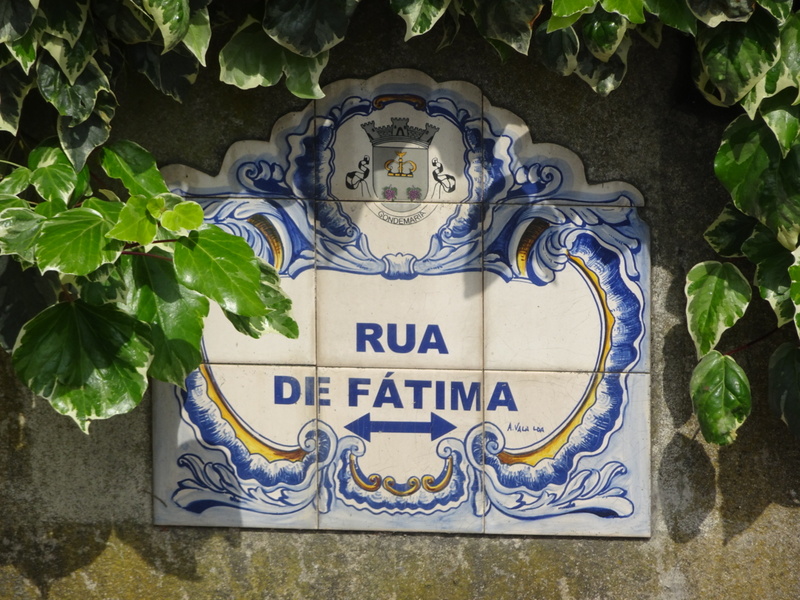 From Porto on, the trail markings for Fatima grew. They began to show up on every turn, they became more certain, more constant. A yellow arrows doe Santiago on one side, a blue arrow doe Fatima on the other. Yesterday we saw three people hiking south, the first since Michelina. Today we saw twenty, more than we saw heading north toward Santiago. We are no longer salmon swimming upstream, we have made the portage, crossed the height of land between two river systems and now drift with the current, even if it is only for one more day, draining like two drops in a stream of pilgrims heading to Fatima. I love following your progress as you hike. I thought of you again this weekend as I hiked about 15 miles up to and around Len Foote — did not make it all the way to Springer Mountain. I had my first full rainy hike and got a tiny taste of your Norway/Sweden soggy saga of rain and snow. Your resilience is incredible! The miles are mounting up but I trust you are headed toward your final destination soon. I love your imagery of people as drops in streams merging into the flood through the cathedral doors.